Mindstorms NXT. If you are looking for a perfect gift that can develop your child imagination, the Mindstorms NXT is probably your best choice. As I mentioned before, Lego is well-known for its quality, durability and making educational toys that both children and adult loves. The Mindstorms NXT is a perfect gift for your little emerging engineer. 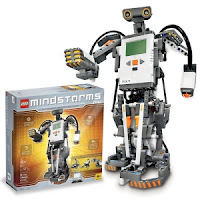 When searching for that gift that is sure to bring smiles and shouts of happiness on Christmas morning, consider the Lego Mindstorm line of products and toys. Don't get me wrong, this is more than a toy and it is ideal for children adults who love educational toys. The Mindstorms NXT is an ingenious blend of building and programming perfect for developing all kinds of brain skills while having fun learning and growing. 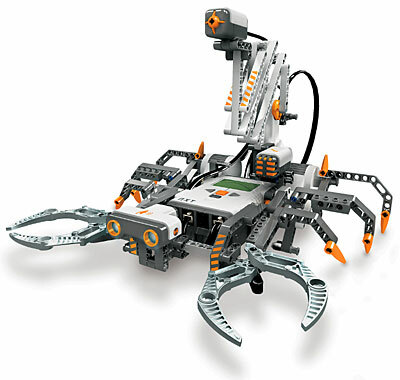 Many schools and other education institutions use the Mindstorms NXT systems to teach robotics and many schools host competitions allowing children to show off and build robotic skills. Mindstorms NXT is impressive robot made of Lego is one of the best Christmas gift available from Lego this year, and I am sure, it will entertain your child for years to come. The main part of the kit is the NXT itself. It's about the size of an iPod (though a bit thicker) with a a loudspeaker, a monochrome LCD, and navigation keys on the front. This is the controller for the robot--it's brain, if you will. It has three ports on top for connecting to the servo motors and four ports on the bottom for connecting to four different sensors: Touch, Light, Sound, and Ultrasonic (see detail below). The set includes Ethernet-like wires for connecting all of these to the Mindstorms NXT, as well as software and a basic USB cable for downloading programs from your computer. Then there are all the Lego parts, hundreds of them, and most are very small. It would be a good idea to get a plastic organizer for the different parts--it would not only make construction and storage easier but also part loss less likely. 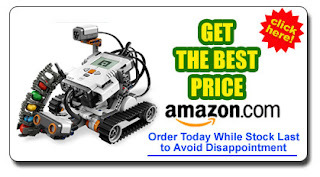 On Christmas morning delight your child with a Mindstorms NXT. This unique gift from Lego will entertain your little builder. Children's eyes will light up as they discover their own robot and learn how to program their new friend to do all kinds of tasks. The Lego Mindstorm is an ingenious blend of building and programming perfect for developing all kinds of brain skills while having fun learning and growing.